2002-09-16 Assigned to 3-DIMENSIONAL PHARMACEUTICALS, INC. reassignment 3-DIMENSIONAL PHARMACEUTICALS, INC. ASSIGNMENT OF ASSIGNORS INTEREST (SEE DOCUMENT FOR DETAILS). Assignors: HALL, JONATHAN, HASLOW, KRISTIN D., MARUGAN SANCHEZ, JUAN JOSE, MILLER, SCOTT C.
R1 R2 and R3 are independently hydrogen or C1-3 alkyl. This application claims benefit under 35 U.S.C. §119(e) of U.S. Provisional Application No. 60/153,236, filed Sep. 13, 1999, the contents of which are fully incorporated by reference herein. Proteases are enzymes that cleave proteins at single, specific peptide bonds. Proteases can be classified into four generic classes: serine, thiol or cysteinyl, acid or aspartyl, and metalloproteases (Cuypers et al.,  J. Biol. Chem. 257:7086 (1982)). Proteases are essential to a variety of biological activities, such as digestion, formation and dissolution of blood clots, reproduction and the immune reaction to foreign cells and organisms. Aberrant proteolysis is associated with a number of disease states in man and other mammals. The human neutrophil proteases, elastase and cathepsin G, have been implicated as contributing to disease states marked by tissue destruction. These disease states include emphysema, rheumatoid arthritis, corneal ulcers and glomerular nephritis. (Barret, in Enzyme Inhibitors as Drugs, Sandler, ed., University Park Press, Baltimore, (1980)). Additional proteases such as plasmin, C-1 esterase, C-3 convertase, urokinase, plasminogen activator, acrosin, and kallikreins play key roles in normal biological functions of mammals. In many instances, it is beneficial to disrupt the function of one or more proteolytic enzymes in the course of therapeutically treating a mammal. The serine protease thrombin occupies a central role in hemostasis and thrombosis, and as a multifactorial protein, induces a number of effects on platelets, endothelial cells, smooth muscle cells, leukocytes, the heart, and neurons. Activation of the coagulation cascade through either the intrinsic pathway (contact activation) or the extrinsic pathway (activation by exposure of plasma to a non-endothelial surface, damage to vessel walls or tissue factor release) leads to a series of biochemical events that converge on thrombin. Thrombin cleaves fibrinogen ultimately leading to a hemostatic plug (clot formation), potently activates platelets through a unique proteolytic cleavage of the cell surface thrombin receptor (Coughlin,  Seminars in Hematology 31(4):270-277 (1994)), and autoamplifies its own production through a feedback mechanism. Thus, inhibitors of thrombin function have therapeutic potential in a host of cardiovascular and non-cardiovascular diseases. Factor Xa is another serine protease in the coagulation pathway. Factor Xa associates with factor Va and calcium on a phospholipid membrane thereby forming a prothrombinase complex. This prothrombinase complex then converts prothrombin to thrombin (Claeson,  Blood Coagulation and Fibrinolysis 5:411-436 (1994); Harker, Blood Coagulation and Fibrinolysis 5 (Suppl 1):S47-S58 (1994)). Inhibitors of factor Xa are thought to offer an advantage over agents that directly inhibit thrombin since direct thrombin inhibitors still permit significant new thrombin generation (Lefkovits and Topol, Circulation 90(3):1522-1536 (1994); Harker, Blood Coagulation and Fibrinolysis 5 (Suppl 1):S47-S58 (1994)). Direct thrombin inhibitors of various structural classes have been identified recently (Tapparelli et al.,  Trends in Pharmacological Sciences 14:366-376 (1993); Claeson, Blood Coagulation and Fibrinolysis 5:411-436 (1994); Lefkovits and Topol, Circulation 90(3):1522-1536 (1994)). 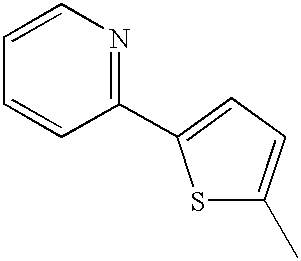 Representative compounds that act by inhibiting the active site of thrombin include the α-chloroketone D-phenylalanyl-L-prolyl-L-arginyl chloromethylketone (PPACK), the boroarginine DUP714, the peptide arginal GYKI 14766, the cyclic peptides cyclotheonamides A and B, the benzamidine NAPAP, and the arylsulphonylarginine argatroban. The thrombin inhibitory peptides hirudin and hirulogs additionally span through the active and exosite domains of thrombin. The peptide hirugen and single-stranded DNA aptamers inhibit thrombin through exosite occupancy. These classes of antithrombotic agents still suffer from one or more of the following liabilities: (1) poor oral bioavailability due to the peptidic or oligonucleotidic nature of these agents, or high molecular weight or charged nature of the agents; (2) excessive bleeding complications; (3) poor selectivity towards thrombin versus other serine proteases (that may lead to severe and sometimes fatal hypotension and respiratory depression in animal models); (4) liver toxicity; or (5) cost effectiveness. An alternative approach for inhibiting thrombin function is to inhibit factor Xa. Factor Xa associates with factor Va and calcium on a phospholipid membrane thereby forming a prothrombinase complex. This prothrombinase complex then converts prothrombin to thrombin (Claeson,  Blood Coagulation and Fibrinolysis 5:411-436 (1994); Harker, Blood Coagulation and Fibrinolysis 5 (Suppl 1):S47-S58 (1994)). Inhibitors of factor Xa are thought to offer an advantage over agents that directly inhibit thrombin since direct thrombin inhibitors still permit significant new thrombin generation (Lefkovits and Topol, Circulation 90(3):1522-1536(1994); Harker, Blood Coagulation and Fibrinolysis (Suppl 1):S47-S58 (1994)). Indeed, continuous generation of new thrombin rather than reexposure of preformed clot-bound thrombin is thought to be responsible in part for the phenomenon of reocclusion since markers of thrombin generation have been found to increase during and after thrombolytic treatment for myocardial infarction. Thus, it is now believed that increased thrombin activity associated with thrombolysis is due at least in part to new thrombin generation. Specific protein factor Xa inhibitors, such as the leech-derived, 119-amino acid protein antistasin and the soft tick-derived protein TAP (tick anticoagulant peptide) accelerated clot lysis and prevented reocclusion when given as adjuncts tothrombolysis (Mellott et al.,  Circulation Research 70:1152-1160 (1992); Sitko et al., Circulation 85:805-815 (1992)). U.S. Pat. No. 5,385,885, issued Jan. 31, 1995, discloses smooth muscle cell proliferation inhibitory activity of both TAP and antistasin. Additionally, TAP and antistasin have been shown to reduce experimental restenosis. These results suggest that factor Xa may play a role in the restenosis process through its effects upon thrombus formation or through its mitogenic potential (Ragosta et al., Circulation 89:1262-1271 (1994)). The peptide ecotin is another selective, reversible, tight-binding inhibitor of factor Xa that exhibits potent anticoagulant activity (Seymour et al., Biochemistry 33:3949-3959 (1994); PCT Published Application WO 94/20535, published Sep. 14, 1994). Ixodidae, argasin, and ancylostomatin are other representative peptidic factor Xa inhibitors isolated from animals that feed on blood (Markwardt, Thrombosis and Hemostasis 72:477-479 (1994)). 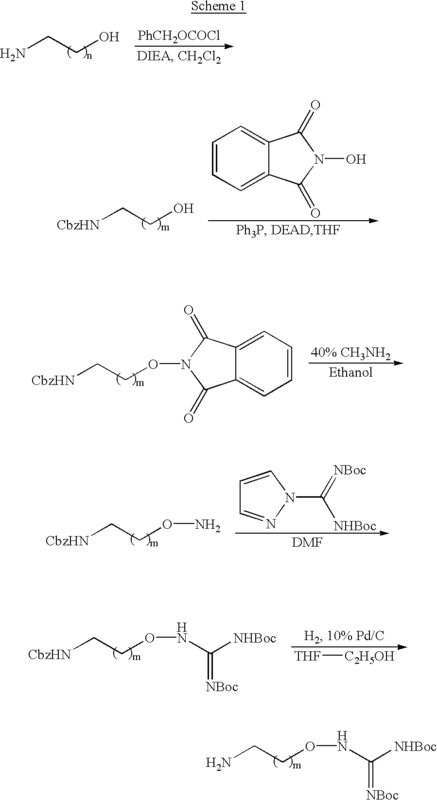 Non-peptide diamidino derivatives, such as (+)-(2S)-2-[4-[[(3S)-1-acetimidoyl-3-pyrrolidinyl]oxy]phenyl]-3-[7-amidino-2-naphthyl]propanoic acid hydrochloride pentahydrate (DX-9065a), exhibit anticoagulant activity (Tidwell et al.,  Thrombosis Research 19:339-349 (1980); Yamazaki et al., Thrombosis and Hemostasis 72:393-395 (1994); Hara et al., Thrombosis and Hemostasis 71:314-319 (1994); Nagahara et al., Journal of Medicinal Chemistry 37:1200-1207 (1994)). Synthetic amidino derivatives of phenylalanine and cycloheptanone have also shown potent factor Xa inhibition (Sturzebecher et al., Thrombosis Research 54:245-252 (1989)). where R d, Re and Rg are each hydrogen, Rf is methyl, and Rh is benzyl or tert-butyl. Preferred values of X are SO 2 or C(O), most preferably SO2. Suitable values for R 1, R2, and R3 include hydrogen, methyl, ethyl, n-propyl and isopropyl. Most preferably, each of R1, R2, and R3 is hydrogen. Suitable values of R 4, R5 and R6 include hydrogen, methyl, ethyl, propyl, n-butyl, hydroxy, methoxy, ethoxy, cyano, —CO2CH3, —CO2CH2CH3 and —CO2CH2CH2CH3. In the most preferred embodiments, R4, R5 and R6 are each hydrogen. Certain compounds within the scope of Formula I are derivatives referred to as prodrugs. The expression “prodrug” denotes a derivative of a known direct acting drug, which derivative has enhanced delivery characteristics and therapeutic value as compared to the drug, and is transformed into the active drug by an enzymatic or chemical process. Useful prodrugs are those where R 4, R5 and/or R6 are —O2Rw, where Rw is defined above. 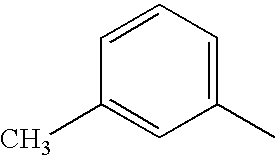 The term “aralkyl” or “arylalkyl” as employed herein by itself or as part of another group refers to C 1-6alkyl groups as discussed above having an aryl substituent, such as benzyl, phenylethyl or 2-naphthylmethyl. The term “heteroatom” is used herein to mean an oxygen atom (“O”), a sulfur atom (“S”) or a nitrogen atom (“N”). It will be recognized that when the heteroatom is nitrogen, it may form an NR aRb moiety, wherein Ra and Rb are, independently from one another, hydrogen or C1 to C8 alkyl, or together with the nitrogen to which they are bound, form a saturated or unsaturated 5-, 6-, or 7-membered ring. 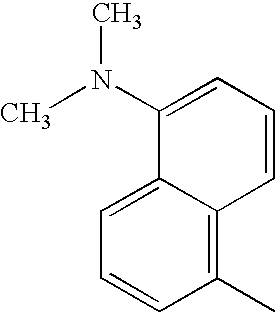 The abbreviation “t-Am” used herein refers to an active amyl moiety having the structure CH 3CH2(CH3)2C—. where R 51 is H or Q-X—, where Q, X, R1, R2, R3, R4, R5, and R6 are as defined herein. In general, R4, R5, and R6 groups may either be hydrogen or an amino protecting group. Reagents and starting materials used in the following methods are commercially available from chemical vendors, including Aldrich, Advanced ChemTech, Bachem, Sigma, Fluka, and the like. During the synthesis of these compounds, functional groups are protected by blocking groups to prevent cross reaction. Examples of suitable blocking groups and their use are described in Greene, T. W. and Wuts, P. G. M.,  Protective Groups in Organic Synthesis, second edition, John Wiley & Sons, New York, N.Y. (1991). Blocking groups are also referred to herein as protective groups. Preparation of the γ- and δ-lactam starting materials III having a carboxymethyl group at the 1-position and an amino group possessing a suitable protective group P b at the 3-position have been described previously by Freidinger et al., J. Org. Chem. 47:104-109(1982). The analogous 7-membered ring lactam has also been described (Semple, J. E. et al., J. Med. Chem. 39:4531-4536 (1996). Alternatively, the δ-lactam can be synthesized by cyclization of ornithine with a suitable protective group on the α-amino group using an amide coupling reagent such as 1-ethyl-3-(3-dimethylaminopropyl)carbodiimide hydrochloride. The carboxymethyl group can then be installed by alkylation with an α-bromoacetic acid ester using a base such as lithium bis(trimethylsilyl)amide in a solvent such as tetrahydrofuran or N,N-dimethylformamide, followed by saponification with aqueous methanolic hydroxide. The analogous γ-lactam can also be synthesized by a modified Curtius-type rearrangement at the γ-carboxyl group of glutamic acid having suitable protective groups on the α-amino and α-carboxy groups similar to that described by Scholtz and Bartlett, Synthesis:542-544 (1989). Spontaneous cyclization is then effected by removal of the resulting γ-amino protective group and conversion to the free base (if necessary). Introduction of the carboxymethyl side chain can then be carried out as previously described. Scheme 2 illustrates the coupling of the synthesis of compounds of the invention starting with the coupling of starting materials of Formulae II and III. The starting materials can be coupled using standard coupling agents such as N,N′-dicyclohexylcarbodiimide and other well-known agents described in  The Peptides: Analysis, Synthesis, Biology, Gras, E. et al., eds., Academic Press, New York, N.Y. (1979-1987), Volumes 1 to 8. The protective group Pb can then be removed using conditions described in Greene, T. W. and Wuts, P. G. M., Protective Groups in Organic Synthesis, second edition, John Wiley & Sons, New York, N.Y. (1991). 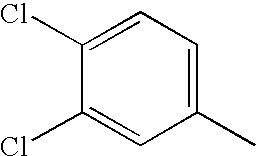 The resulting amine can then be acylated with a sulfonyl chloride in an inert solvent, such as methylene chloride, preferably in the presence of an organic base such as pyridine, triethylamine, and the like. Removal of protective groups R5 and R6 can be accomplished using the methods described in Greene, T. W. and Wuts, P. G. M., Protective Groups in Organic Synthesis, second edition, John Wiley & Sons, New York, N.Y. (1991) to provide the final compound. 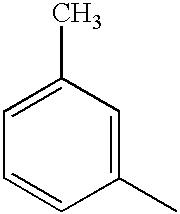 1-(3-Dimethylaminopropyl)-3-ethylcarbodiimide hydrochloride (7.2 g, 37.6 mmol) was added in a single portion to a solution of N α-benzyloxycarbonyl-L-ornithine (10 g, 37.6 mmol), 4-methylmorpholine (4.1 mL, 37.6 mmol), and 1-hydroxybenzotriazole (5.1 g, 37.6 mmol) in acetonitrile (200 mL). After being stirred overnight, the undissolved white solid was filtered off and discarded. The filtrate was concentrated in vacuo and the residue was dissolved in methylene chloride and washed sequentially with dilute aqueous HCl and dilute aqueous NaHCO3. The separated organic layer was dried (MgSO4), filtered, and concentrated in vacuo to give a white solid (7.0 g, 75%). 1H-NM (300 Mz, CDCl3) δ 7.34 (m, 5H), 6.20 (bs, 1H), 5.76 (bs, 1H), 5.11 (s, 2H), 4.10 (m, 1H), 3.32 (m, 1H), 2.50 (m, 1H), 1.92 (m, 2H), 1.61 (m, 1H). Lithium bis(trimethylsilyl)amide (20.8 mL, 1.0 M in tetrahydrofuran) was dropped into an ice-cooled solution of the product from the preceding experimental (4.7 g, 18.9 mmol) in tetrahydrofuran (20 mL). 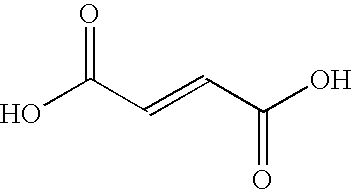 Upon complete addition, ethyl bromoacetate (15.8 g, 94.5 mmol) was dropped into the mixture. After being stirred for 30 minutes, ethylenediamine (10 mL) was added and stirring was continued for an additional 30 minutes. The mixture was concentrated in vacuo and the residue was dissolved in methylene chloride and washed with dilute aqueous HCl. The separated organic layer was dried (Na 2SO4), filtered, and concentrated in vacuo. The crude product was dissolved in methanol (25 mL) followed by the addition of 1.0 M NaOH (50 mL). After being stirred for 30 minutes, the methanol was evaporated in vacuo and the resulting basic aqueous solution was extracted with methylene chloride (3×100 mL). The aqueous layer was then acidified with 1.0 N HCl to a pH of 1 and extracted with methylene chloride. The organic extracts were dried (Na2SO4), filtered, and concentrated in vacuo to give the title compound (5.7 g, 98%). No further purification was necessary. Benzotriazol-1-yloxytris(dimethylamino)phosphonium hexafluorophosphate, 5.25 g, 12 mmol) was added in a single portion to a solution of the product from the preceding experimental (3.0 , 9.9 mmol), tert-butyl 3-[(2-aminoethoxy)amino]-2-aza-3-[(tert-butoxy)carbonylamino]prop-2-enoate (3.5 g, 9.9 mmol), and N,N-diisopropylethylamine (3.45 mL, 19.8 mmol) in N,N-dimethylformamide (40 mL). After being stirred overnight, the mixture was diluted with methylene chloride and washed sequentially with dilute aqueous HCl and dilute aqueous NaHCO 3. The separated organic layer was dried (Na2SO4), filtered, and concentrated in vacuo to give the title compound as impure material (7.0 g) which was used crude in the next step. A solution of the crude product from the preceding experimental (7.0 g) and 10% palladium on carbon (800 mg) in methanol (100 mL) was stirred under 1 atmosphere of hydrogen for 2 hours. The mixture was filtered through diatomaceous earth and the filtrate was concentrated in vacuo. The residue was partitioned between methylene chloride and dilute aqueous HCl. The aqueous phase was extracted two more times with methylene chloride and these extracts were discarded. The aqueous layer was basified with 1 M NaOH and extracted with methylene chloride. The separated organic extracts were dried (Na 2SO4), filtered, and concentrated in vacuo to give the title compound (2.0 g, 40% for steps 3 and 4) for which further purification was not necessary. 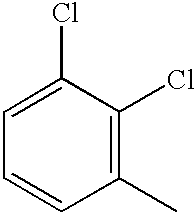 Benzyl chloroformate (63 mL, 443 mmol) was added dropwise to a solution of ethanolamine (60 g, 984 mmol) in tetrahydrofuran (300 mL). After being stirred overnight, the mixture was concentrated in vacuo, and partitioned between methylene chloride and dilute aqueous HCl. The separated organic layer was washed with dilute aqueous NaHCO 3, dried (MgSO4), filtered, and concentrated in vacuo to give the title compound (36 g) which was used without further purification in the next step. Diethyl azodicarboxylate (5.2 g, 30 mmol) was added to a solution of the product from the preceding experimental (5.9 g, 30 mmol), N-hydroxyphthalimide (4.9 g, 30 mmol), and triphenylphosphine (7.9 g, 30 mmol) in tetrahydrofuran (100 mL). After being stirred overnight, the mixture was diluted with ethyl acetate (200 mL), and washed with saturated aqueous NaHCO 3 (2×100 mL) and brine (100 mL). The separated organic layer was dried (Na2SO4), filtered, and concentrated in vacuo. The residue was chromatographed (SiO2) using a gradient elution with 0-4% ethyl acetate in methylene chloride to give the title compound as a white solid (9.3 g, 91%). 1H-NMR (300 MHz, CDCl3) δ 7.84 (in, 2H), 7.78 (in, 2H), 7.37 (in, 5H), 5.97 (bs, 1H), 5.14 (s, 2H), 4.27 (t, J=4.9 Hz, 2H), 3.51 (q, J=5.2 Hz, 2H). 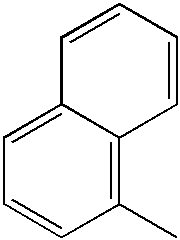 Methylamine (40% wt. solution in H 2O, 2 mL, 25 mmol) was added to a solution of the product from the preceding experimental (1.36 g, 4.0 mmol) in ethanol (20 mL) and tetrahydrofuran (20 mL). After being stirred for 1 hour, the mixture was concentrated in vacuo, and the resulting residue was chromatographed (SiO2) using a gradient elution with 75-100% ethyl acetate in hexanes to give the title compound as a white solid (800 mg, 95%). 1H-NMR (300 MHz, CDCl3) δ 7.36 (m, 5H), 5.47 (bs, 2H), 5.21 (bs, 1H), 5.10 (s, 2H), 3.72 (t, J=5.0 Hz, 2H), 3.44 (q, J=5.0 Hz, 2H). A solution of the product from the preceding experimental (780 mg, 3.7 mmol) and [N,N′-di(tert-butoxycarbonyl)]amidinopyrazole (1.25 g, 4.0 mmol) in N,N-dimethylformamide (20 mL) was stirred overnight. The mixture was concentrated under high vacuum, and the resulting residue was chromatographed (SiO 2) using a gradient elution with 0-5% ethyl acetate in methylene chloride to give the title compound as a colorless oil (1.55 g, 93%). 1H-NMR (300 MHz, CDCl3) δ 9.08 (s, 1H), 7.67 (s, 1H), 7.33 (m, 5H), 6.21 (bs, 1H), 5.21 (bs, 1H), 5.11 (s,2H), 4.12 (t, J=4.8 Hz, 2H), 3.54 (q, J=4.9 Hz, 2H), 1.49 (s, 9H), 1.46 (s, 9H). A solution of the product from the preceding experimental (730 mg, 1.5 mmol) and 10% Palladium on carbon (70 mg) in ethanol (20 mL) and tetrahydrofuran (20 mL) was stirred under 1 atmosphere of hydrogen for 30 min. The mixture was filtered through diatomaceous earth, and the filtrate was concentrated in vacuo. The residue was chromatographed on a 10 g silica SPE column using 5% methanol/methylene chloride saturated with ammonia to give the title compound as a colorless oil (290 mg, 61%). 1H-NMR (300 MHz, CDCl3) δ 9.08 (bs, 1H), 4.08 (t, J=5.2 Hz, 2H), 2.99 (q, J=5.1 Hz, 2H), 1.50 (s, 9H), 1.48 (s, 9H). Diphenylphosphoryl azide (11.1 mL, 51.3 mmol) was dropped into a solution of N-benzyloxycarbonyl-L-glutamic acid α-methyl ester (13.8 g, 46.7 mmol) and triethylamine (7.2 mL, 51.3 mmol) in tert-butanol. After being stirred overnight at 95° C., the mixture was concentrated in vacuo, dissolved in methylene chloride, and washed sequentially with dilute aqueous HCl and dilute aqueous NaHCO 3. The separated organic layer was dried (MgSO4), filtered, and concentrated in vacuo. 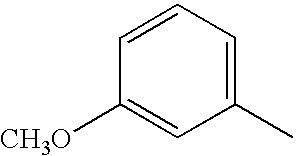 The addition of diethyl ether resulted in the formation of a precipitate which was filtered off to give phenylmethyl (6S)-6-(methoxycarbonyl)-2-oxo-1,3-diazaperhydroinecarboxylate as a white solid (4.0 g, 29%). 1H-NMR (300 MHz, DMSO-d6) δ 7.37 (m, 6H), 5.18 (s, 2H), 4.83 (t, J=5.2 Hz, 1H), 3.65 (s, 3H), 3.10 (m, 1H), 2.95 (m, 1H), 2.16 (m, 1H), 2.03 (m, 1H). The filtrate was concentrated in vacuo and the residue was dissolved in methylene chloride (50 mL) followed by the addition of trifluoroacetic acid (50 mL). After being stirred for 30 minutes, the mixture was concentrated in vacuo and the residue was partitioned between methylene chloride and dilute aqueous sodium hydroxide. The separated organic layer was dried (MgSO4), filtered, and concentrated in vacuo. 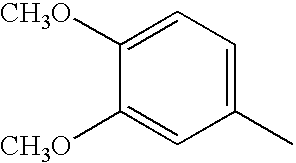 The addition of diethyl ether resulted in the formation of a precipitate which was filtered off to give the title compound as a white solid (3.0 g, 28%). 1H-NMR (300 MHz, DMSO-d6) δ 7.78 (bs, 1H), 7.51 (d, J=8.8 Hz, 1H), 7.36 (m, 5H), 5.03 (s, 2H), 4.09 (m, 1H), 3.14 (m, 2H), 2.26 (m, 1H), 1.85 (m, 1H). Lithium bis(trimethylsilyl)amide (13 mL, 1.0 M in tetrahydrofuran) was dropped into an ice-cooled solution of the product from the preceding experimental (2.77 g, 11.8 mmol) in tetrahydrofuran (60 mL). Upon complete addition, ethyl bromoacetate (2.6 mL, 23.7 mmol) was dropped into the mixture. After being stirred for 30 minutes, ethylenediamine (1.2 mL) was added and stirring was continued for an additional 30 minutes. The mixture was concentrated in vacuo, the residue was dissolved in methylene chloride, and washed sequentially with dilute aqueous HCl and dilute aqueous NaHCO 3. The separated organic layer was dried (MgSO4), filtered, and concentrated in vacuo. The crude product (3.5 g) was dissolved in methanol (60 mL) followed by the addition of 1.0 M NaOH (40 mL). After being stirred overnight, the methanol was evaporated in vacuo and the resulting basic aqueous solution was extracted twice with methylene chloride (discarded). The aqueous layer was then acidified with 1.0 N HCl to a pH of 1-2 and extracted with methylene chloride. The aqueous layer was then saturated with sodium chloride (solid), and further extracted with ethyl acetate. The combined organic extracts were dried (Na2SO4), filtered, and concentrated in vacuo. 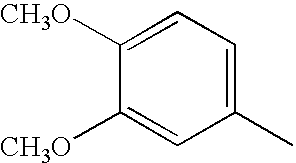 The addition of diethyl ether resulted in the formation of a precipitate which was filtered to give the title compound as a white solid (3.0 g, 86%). No further purification was necessary. Benzotriazol-1-yloxytris(dimethylamino)phosphonium hexafluorophosphate (4.8 g, 10.8 mmol) was added in a single portion to a solution of the product from the preceding experimental (2.9 g, 9.8 mmol), tert-butyl 3-[(2-aminoethoxy)amino]-2-aza-3-[(tert-butoxy)carbonylamino]prop-2-enoate (3.4 g, 10.8 mmol), and N,N-diisopropylethylamine (1.9 mL, 10.8 mmol) in N,N-dimethylformamide (80 mL). After being stirred overnight, the mixture was concentrated in vacuo, diluted up with methylene chloride, and washed sequentially with dilute aqueous HCl and dilute aqueous NaHCO 3. The separated organic layer was dried (MgSO4), filtered, and concentrated in vacuo to give the title compound as a crude product (7.5 g) which was used without purification in the next step. A solution of the product from the preceding experimental (7.5 g crude) and 10% palladium on carbon (750 mg) in ethanol (100 mL) and chloroform (7 mL) was stirred overnight under 1 atmosphere of hydrogen. The mixture was filtered through diatomaceous earth, and the filtrate was concentrated in vacuo. The residue was partitioned between methylene chloride and 0.1 N HCl. The aqueous layer was extracted a second time with methylene chloride and these extracts were discarded. The aqueous layer was then basified with 1.0 M NaOH to a pH of 10-11, and extracted with methylene chloride. The separated organic layer was dried (Na 2SO4), filtered, and concentrated in vacuo to give the title compound as a colorless oil (1.0 g, 22% for steps 3 and 4). No further purification was necessary. K i Determinations: All assays are based on the ability of the test compound to inhibit the enzyme catalyzed hydrolysis of a peptide p-nitroanilide substrate. In a typical Ki determination, substrate is prepared in DMSO, and diluted into an assay buffer consisting of 50 mM HEPES, 200 mM NaCl, pH 7.5. The final concentrations for each of the substrates is listed below. In general, substrate concentrations are lower than the experimentally determined value for Km. Test compounds are prepared as a 1.0 mg/ml solution in DMSO. Dilutions are prepared in DMSO yielding 8 final concentrations encompassing a 200 fold concentration range. Enzyme solutions are prepared at the concentrations listed below in assay buffer. In a typical K i determination, into each well of a 96 well plate is pipetted 280 mL of substrate solution, 10 mL of test compound solution, and the plate allowed to thermally equilibrate at 37° C. in a Molecular Devices plate reader for >15 minutes. Reactions were initiated by the addition of a 10 mL aliquot of enzyme and the absorbance increase at 405 nm is recorded for 15 minutes. Data corresponding to less than 10% of the total substrate hydrolysis were used in the calculations. The ratio of the velocity (rate of change in absorbance as a function of time) for a sample containing no test compound is divided by the velocity of a sample containing test compound, and is plotted as a function of test compound concentration. The data are fit to a linear regression, and the value of the slope of the line calculated. The inverse of the slope is the experimentally determined Ki value. Factor X [FXa]: FXa activity was assessed as the ability to hydrolyze the substrate N-benzoyl-Ile-Glu-Gly-Arg-p-nitroanilide hydrochloride. Substrate solutions were prepared at a concentration of 51 mM (51<<K m=1.3 mM) in assay buffer. Final DMSO concentration was 4.3%. Purified activated human Factor X was diluted into assay buffer to a concentration of 300 nM. 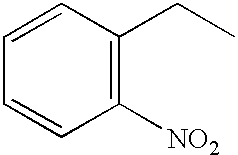 Final reagent concentrations were: [FXa]=10 nM, [N-benzoyl-Ile-Glu-Gly-Arg-p-nitroanilide hydrochloride]=51 mM. In general, the compounds of the invention demonstrated statistically significant activity against thrombin and/or factor Xa with K i values for one or both of these enzymes ranging from 0.70 μM to 10 μM. For example, the compound described in Example 2 was found to have K, of 0.70 μM against thrombin and no activity at a concentration of 10 μM against factor Xa. The compound of Example II was found to have a Ki of 1.2 μM against thrombin and a Ki of 2.1 μM against factor Xa. The compound of Example 42 was found to have a Ki of 6.4 μM against thrombin and a Ki of 0.36 μM against factor Xa. where Rd, Re and Rg are each hydrogen, Rf is methyl, and Rh is benzyl or tert-butyl. 2. The compound of claim 1, wherein Q is aryl, aralkyl or thienyl, any of which can include one or more optional substituents independently selected from the group consisting of halo, trifluoromethyl, hydroxy, amino, nitro, cyano, C1-3 alkoxy, C1-3 alkyl, methylenedioxy, carboxyamino, C1-4 alkoxycarbonylamino, C6-10aryloxycarbonylamino, C7-11 aralkoxycarbonylamino, aminocarbonyl, mono- or di-(C1-4)alkylaminocarbonyl, acetamido, amidino, pyridyl, naphthyl, pyrimidinyl, alkenyl, mono- or di-(C1-4)alkylamino, and combinations thereof. 3. The compound of claim 2, wherein Q is phenyl or biphenyl, any of which can include one or more optional substituents independently selected from the group consisting of halo, tnifluoromethyl, hydroxy, amino, nitro, cyano, C1-3 alkoxy, C1-3 alkyl, methylenedioxy, carboxyamino, C1-4 alkoxycarbonyamino, C6-10 aryloxycarbonylamino, C7-11aralkoxycarbonylamino, aminocarbonyl, mono- or di-(C1-4)alkylaminocarbonyl, acetamido, amidino, pyridyl, naphthyl, pyrimidinyl, alkenyl, mono- or di-(C1-4)alkylamino, and combinations thereof. 4. The compound of claim 2, wherein Q is naphth-1-yl, naphth-2-yl, 5-di methylaminonaphth-1-yl, 6-chloronaphth-2-yl, 6-bromonaphth-2-yl, benzyl, 2-nitrobenzyl, phenyl, 2-methylphenyl, 3-methylphenyl, 4-(n-propyl)phenyl, 4-(t-butyl)phenyl, 4-(t-amyl)phenyl, 4-methoxyphenyl, 4-iodophenyl, 4-fluorophenyl, 4-chlorophenyl, 3,4-dichlorophenyl, 4-nitrophenyl, 4-methylphenyl, 4-ethylphenyl, 4-ethenylphenyl, 3,4-dimethoxyphenyl, or 2-phenylethenyl. 5. 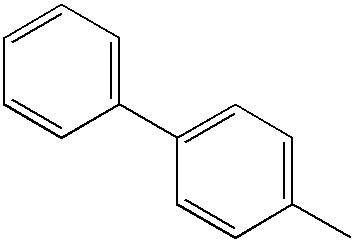 The compound of claim 2, wherein Q is 4-(2-methylphenyl)phenyl, 4-(2-methoxyphenyl)phenyl, 4-(3-chlorophenyl)phenyl, 4-(3-fluorophenyl)phenyl, 4-(3-methoxyphenyl)phenyl, 4-(4-fluorophenyl)phenyl, 4-(4-methylphenyl)phenyl, 4-(4-methoxyphenyl)phenyl, 4-(2,4-difluorophenyl)phenyl, 4-(3,4-dichlorophenyl)phenyl, 4-(3,4-dimethoxyphenyl)phenyl, 4-naphth-2-ylphenyl, 4-pyrid-4-ylphenyl, 4-pyrid-2-ylphenyl, biphenyl, 4-(4-chlorophenyl)phenyl, 4-pyrimidin-5-ylphenyl, or 5-(pyrid-5-yl)thien-2-yl. 6. The compound of claim 4, wherein n is 1 or 2. 7. The compound of claim 5 wherein X is SO2. 8. The compound of claim 4 wherein m is 1 or 2. 9. The compound of claim 4 wherein m is 1. 10. The compound of claim 1 where R1, R2, and R3are independently selected from the group consisting of hydrogen, methyl, ethyl, n-propyl and isopropyl. 11. The compound of claim 1 where R1, R2, and R3 are hydrogen. 12. The compound of claim 1 where R4, R5 and R6 are independently selected from the group consisting of hydrogen, methyl, ethyl, propyl, n-butyl, hydroxy, methoxy, ethoxy, cyano, —CO2CH3, —CO2CH2CH3 and —CO2CH2CH2CH3. 13. The compound of claim 1 where R4, R5 and R6 are each hydrogen. 15. A pharmaceutical composition comprising a compound of claim 1; and a pharmaceutically acceptable carrier or diluent. 16. A method of inhibiting factor Xa, comprising contacting factor Xa with a compound of claim 1. 17. A method of treating a factor Xa mediated condition in a mammal, comprising administering to a mammal in need of said treatment a therapeutically or prophylactically effective amount of a compound of claim 1. 18. A method of treating thrombosis, ischemia, stroke, restenosis or inflammation comprising administering to a mammal in need of said treatment a therapeutically or prophylactically effective amount of a compound of claim 1.
where R51 is H or Q-X—, where Q, X, R1, R2, R3, R4, R5, and R6 are as defined as in claim 1. 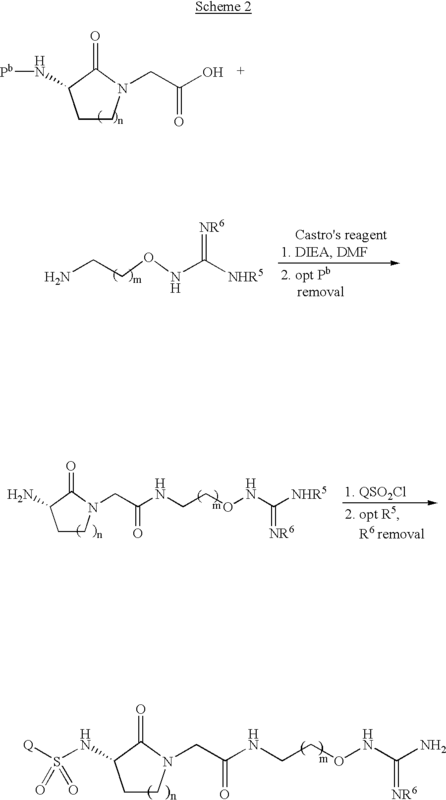 ES2293651T3 (en) 2008-03-16 Inhibitors cysteine ​​and serine proteases derived amino acid d.